Well, there’s only one month left in 2018 but it seems like most of the devs and publishers saved the best for last. In my recent HITMAN 2 review, I gave praises to the game and said it was a sequel done right. 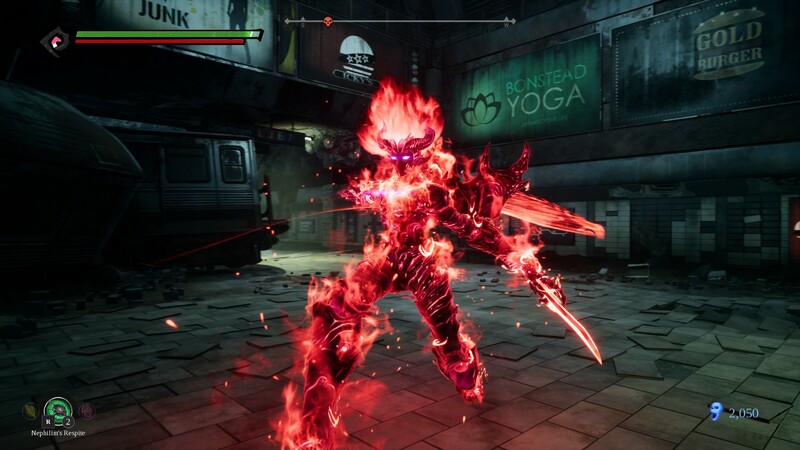 Right now, I got my hands on Darksiders III and in most of the aspects, it’s an improvement than the previous game in the series. Yep, I’m already telling you that it’s a good game worth your time (and money) so lets’ go through the steps now and see why is that. 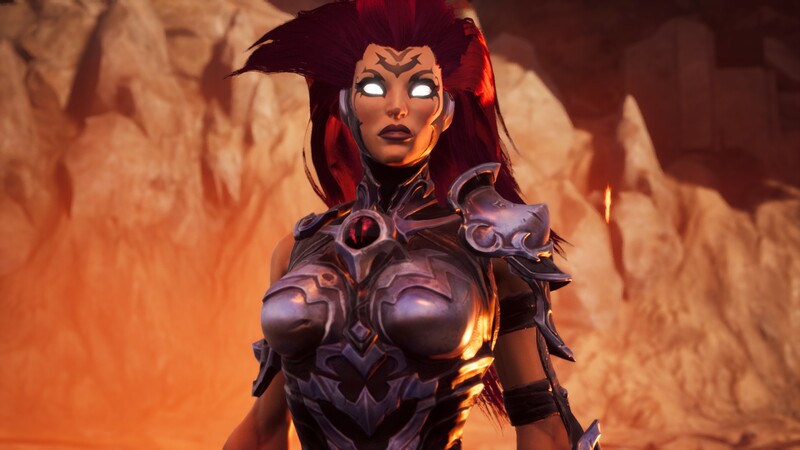 The story of Darksiders III is a direct continuation from the previous game, except we are now in control of a different Horseman of the Apocalypse, Fury. In contrast to the sarcastic and cynical Death from Darksiders II, Fury is a bit brash, full of temper and dare I say….furyous (heh). In any case, we are tasked with hunting and destroying Seven Deadly Sins on a war-torn Earth. It is a task given to her by a supreme Charred Council. Soon enough, a new entity called Lord of the Hollow joins the story, telling us that there is more to our quest and she is being manipulated by the Charred Council. It is up to us to discover which side is telling the truth while trying to hunt down the Seven Deadly Sins and bring the balance in the war between Angels and Demons. 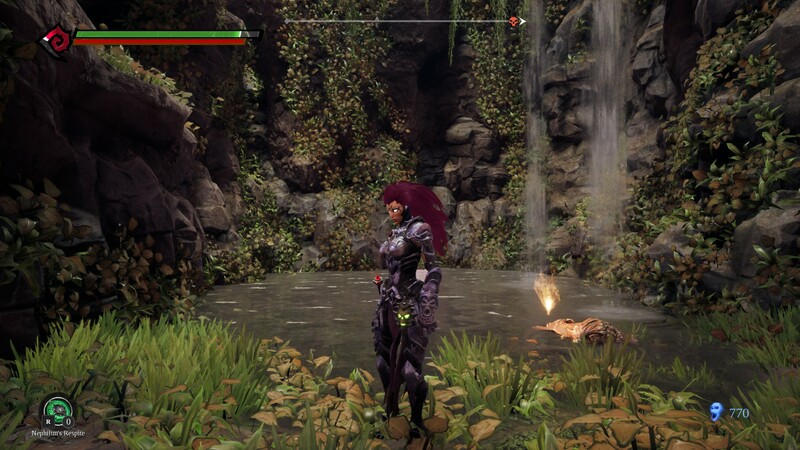 A lot of things in Darksiders III could be summed up as a case of “less is more” but in this particular case, I’d even say that less is better. A lot of the improvements here (especially when comparing it to previous Darksiders II) came from going back to the roots. No more MMO type loot, gazillion armor sets to collect and hundreds of side quests that reward you with a measly amount of exp. You have a couple of weapons (usually obtained after taking down bosses) that can be upgraded and you can distribute your skill points to either health, strength or arcane boosts. You obtain skill points by collecting souls from enemies which you can either spend (at our friendly merchant demon) on various health items or use them to earn some skill points. Again, everything is far simpler compared to the previous game and it doesn’t overstay its welcome with unnecessary length. Aside from stripping down some things, the game also came with some additions. The most obvious is revamped combat. Since I was in a bit of a rush recently, I figured to pick the easiest difficulty setting when playing the game and just enjoy the story. It should have been fairly simple. Spoiler: it wasn’t. This time around, you have to be careful. Days of jumping into a group of enemies and mowing everyone down with combos are gone. A group of 3-4 enemies is a considerable challenge while bosses require a lot of trial & error approach. However, not everything is without its flaws. 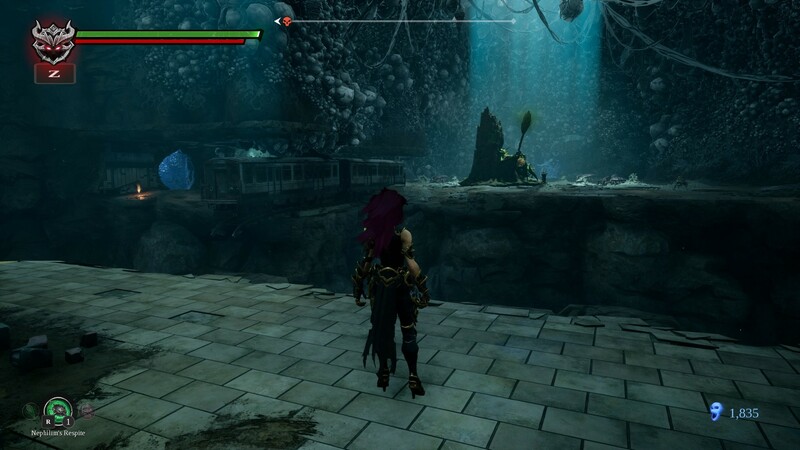 One of the two issues I have with Darksiders III is a lack of a decent navigation system. The map is gone and we now have……..well, almost nothing. There is some sort of a compass marker above you but it’s not always consistent. If the objective is above you, under you or around the sharp corner, the pointer may go haywire or give you the illusion as you arrived at the correct spot. The other thing is a block button. As in, there is none. Especially when you encounter enemies that can block and defend from your attacks while you can’t do the same. The only thing left to do is to time your strikes and dodge/roll away from theirs. Not like you have any other choice. While the game is an open world, a lot of the areas are interconnected. With that and a challenging combat system, it’s clear to where a lot of the inspiration came from. I’ll give you a hint – it’s a series that rhymes with Bark Holes. It’s not a bad thing, especially since a lot of inspiration resulted in some really stunning visuals. Most of the areas you go through are remnants of pre-apocalyptic Earth, long before the war of Angels and Demons that destroyed everything. Each of the areas around Seven Deadly Sins has a specific setting to it. There is not much you can do given such a restricted setup to play with but Gunfire Games did some wonders on the visual front. While some scenery is nothing short of breathtaking, I cannot say the same for the audio department. It’s not that it’s bad, it’s just that it’s there and does what’s expected of it. It certainly doesn’t stand out. You’re accompanied with some eerie and soft orchestral chants and mildly menacing instrumentals while platforming. It changes slightly depending on the areas you’re in but the basics are the same. The music kicks into something climactic while slashing enemies and during boss fights but that’s all there is to it. It certainly doesn’t make you feel alone while traversing the open areas. I imagine there were some strong expectations for Gunfire Games. 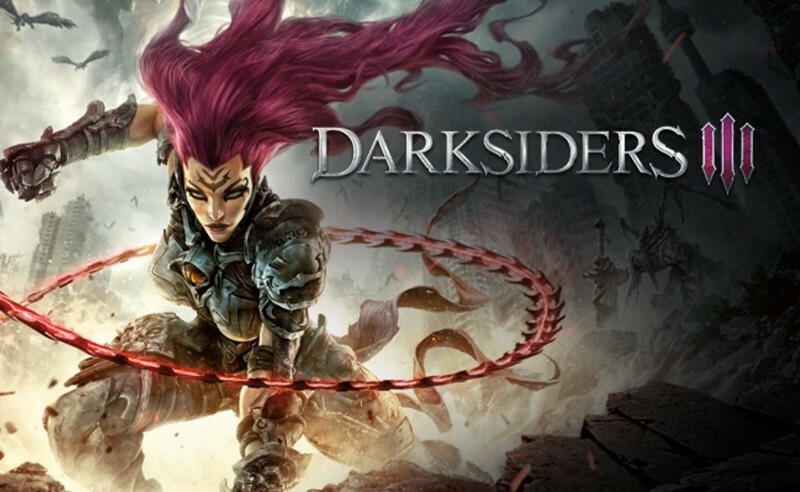 After the closure of Vigil Games, the previous dev for Darksiders, they had a task of stepping in and continuing with the next game in the series. Despite all of that, Darksiders III comes with some welcomed changes, new additions and tweaked gameplay mechanics. More than enough to establish its own identity and a promise of many good things to come from Gunfire Games. The game is fun, challenging, visually stunning and it feels like a breath of fresh air for the series. It’s all I could ever ask for. A fresh take on the series with gorgeous level design and simplified yet challenging combat system.